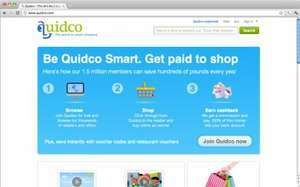 Quidco Cashback Reminder Toolbar provides automatic alerts when a retailer offers cashback. The official Quidco Cashback Reminder Toolbar enables you to obtain automatic alerts when browsing the Internet, notifying you if the retailer you are visiting is a Quidco partner and provides cashback and offers – helping to save you hundreds of pounds on your shopping every year. We're constantly trying to add more retailers to the list so if your favourite isn't available now, we'll do our best to add them in the future. Really useful browser extension! - just bear the ** PLEASE NOTE ** in mind - there are some quidco retailers for whom the alerts do not automatically appear... (so always worth checking the quidco site directly if it doesn't). I can't believe it took me so long to find it to be honest. Seems a bit pointless relying on this if not all the retailers are included. Reviews of this extension are rather offputting.